Not just adults but also infants and people with chronic heart and lung diseases are hospitalized and sometimes even die from excessive exposure (above 35 ppm) to the toxic gas, carbon monoxide. 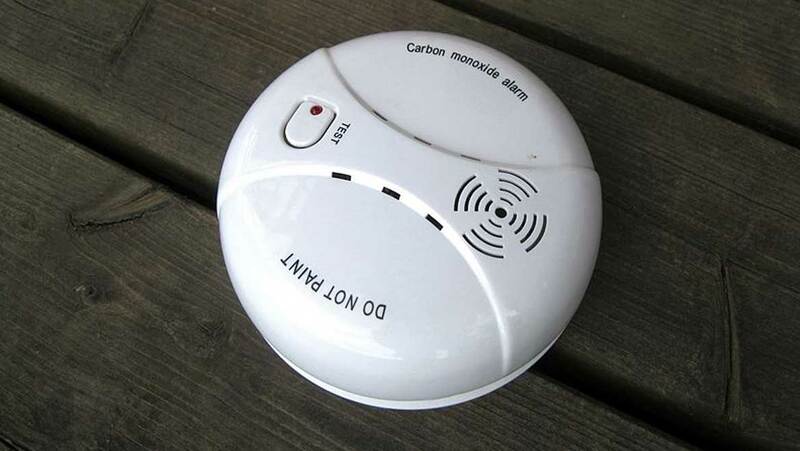 According to the Centers for Disease Control and Prevention (CDC), it has caused more than 400 deaths per year in America alone because of what is called carbon monoxide poisoning. The presence of this gas in the environment is a result of automobile emissions and exhaust fumes or while burning fuels in homes such as stoves and open fires. Along with the support of Sweden’s KTH Royal Institute of Technology, scientists at the Indian Institute of Science (IISc) in Bengaluru, India, have created a product that can address the problem of CO gas - a low-cost, hypersensitive nanosensor. Developed by a fabrication method of colloidal lithography and lift-off process, this high-tech invention responds to even small changes in levels of carbon monoxide in the environment. In the past, for developing microsensors, a conventional route was used of detecting resistance and therefore changes in current, which translated to measuring and responding to CO levels in the air. This tended to be both inaccurate and expensive. Also discarding the traditional, cumbersome, multi-step method of coating light-sensitive materials with metal oxides, this study used a more advanced, faster, cost-effective and sensitive technique that was able to sense small quantities of carbon monoxide, and selectively, in the air as low as 500 ppm. Tiny PS (polystyrene) beads were dipped in water so they arranged themselves into a hexagonal structure, after which they were placed on an oxidized silicon wafer substrate that was in turn used to build the zinc oxide (ZnO) structure. What happened here is the ZnO settled in between the gaps of the hexagon and when ‘lifted off’, a 3D honeycomb structure with a large surface area remained. The team found that the thinner the sensor (the experiment used one that was only 10 nm thick), the greater the sensitivity and accuracy. Regarding the scaling down of size from micrometer thickness, co-author of the paper, Prof. Navakanta Bhat, said, “It can enhance the efficiency 1,000 times” although increasing the cost of the device itself due to the advanced tools used. Dr. Bhat also talked about the small size (less than 1 mm) of the mini-sensor created, making it easily integrated into devices such as phones or traffic signals in order to collect data. This promising method can hopefully be used in the future to reveal and react to other hazardous pollutants we breathe in everyday, hopefully finding a permanent solution to their reduction and subsequent improvement in air quality. In the paper titled ‘Honeycomb Type ZnO Nanostructures for Sensitive and Selective CO Detection’, Bhat said, "What we have is a generic platform. You can do the same nano-structuring for different metal oxide semiconductor sensors.” Also, since the device cuts overall cost by almost 50 percent and has a commendable surface-to-volume ratio, it can be easily scaled for mass production. The Government of India has taken the high amounts of gaseous carbon monoxide in the atmosphere seriously and considered using this technology at traffic signals in large cities in order to further their research into air quality maintenance and ultimately, improvement.